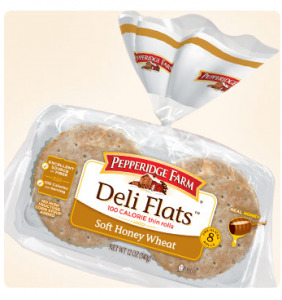 I just returned from Target, where I found their Pepperidge Farm Deli Flat 8-count packages on sale for $1.99. With the right coupons, you can get them for as low as $0.39 each! $0.39 each after stacked coupons! $0.25 each after stacked coupons! I was so excited to get those Deli Flats for $0.39 at my Target in Middle TN last night as well! Love deals on healthy food! I see Target has a coupon for .50/1 Betty Crocker Warm Delights. There was a $1.00/1 coupon in my local 6/27 SS. Target sells these for $1.75 ea. Combined coupons brings these delights to just .25 ea. YUMMY!! Gina, unfortunately that’s a manufacturer coupon on the Target website and not a Target store coupon, so you can’t stack it with another manufacturer coupon. It’s one or the other. But $0.75 still isn’t bad. Was able to pick up the PF deli flats in Richmond, VA. Good stuff. There’s also a Target deal with the new Wonka chocolates. Our Target had them priced at $3.49, but I’ve heard others are $2.99. Target Q plus mfg Q from insert takes off $2.50 from those bags. I cant find the Deli Flats coupon on the Target website. Is it still there? CJ, yes. It’s on page 3 under Groceries for me. I can’t find the Deli Flats coupon either… Today is July 6 and I just went to page 3 under grocereis… and all the way thru and I can’t see this coupon. Man, I hate it when this happens. Jeannie, it is still there. Now it’s under page 4 for me, but keep in mind that it may be on a different page for you. If you’ve already printed it, it may be gone as well. I’m not logged in or using a zipcode, so it shouldn’t be a regional coupon.